Ahh ok so here it is, some of my top picks for educating yourself about your body and the world you are living in, especially when it comes to eating gluten-free. You won’t look at food the same after reading this stuff. I would suggest this book for a beginner when it comes to great health books. Michael Pollan also has another book that is suitable for legit beginners, meaning you think Mickey D’s is cool because it tastes good. This book is called Food Rules and is relatively short and easy to read. This book, however, In Defense of Food, is a pretty intense account of how modern society has lost the true meaning of food and how we can get it back. Michael Pollan suggests that we eat food, not too much, and mostly plants. Why? Guess you’ll have to read it and find out, foodies. This one of many great health books takes you on a crazy journey of Michael Pollan’s attempt to eat three very different meals: modern human’s meal, a meal that is bought from organic and local grocery stores, and finally, a meal that he solely creates himself (including getting his own salt from the ocean himself… seriously). His journey is incredibly detailed and somewhat heartbreaking (mainly to see how far our modern diet has fallen from our ideal diet, and consequently, how far our health has fallen). This book was a little tough for me to get through; it was just hard to hold my interest after about 2/3 of the way through. But definitely worth the read, I can’t believe Michael Pollan did so much research and work for this account. This book changed my life, although I realize it won’t seem nearly as awesome to people who either don’t have a problem with gluten or people who don’t realize they have a problem with gluten. This is the book that made me realize that gluten was truly making me sick. It’s a pretty fascinating book among the many great health books that talks about why gluten makes people sick, how it makes people sick, and it provides details and other accounts of many people and illnesses that the gluten-free diet helps. It also talks about why dogs shouldn’t eat gluten and also provides some beginner gluten-free recipes. I would really recommend this book, even if you have no problems whatsoever with gluten, just because it’s fascinating and heartbreaking to see just how much food affects our health. This book is among the great health books as good for knowing, or at least trying to know, what your optimum nutrition should be, including vitamin and mineral intake, which is essential for proper health. It also talks about why gluten is potentially bad for everyone, advocates for you to stop smoking, and digs its heels in on the importance of vitamin C.
His research and advice have been great assets to my personal health journey; hopefully, you’ll find this book simultaneously overwhelming and helpful (sorry, but it is a little overwhelming). I had a lot of mixed feelings about this book, but I’m putting it on here for the recipes and fun of it. I have mixed feelings about it because for someone who going gluten-free saved (meaning me), this book is from the perspective of someone who perceives that going gluten-free is an ailment and has ruined her life. She only appears to be gluten-free because she absolutely had to be or she’ll experience terrible symptoms as she has celiac disease. But, I did love the recipes (especially the nacho one, which I made with dairy-free cheese, of course, and has been a staple in my house for years now) and her humor is great and the writing was entertaining. Worth a read! 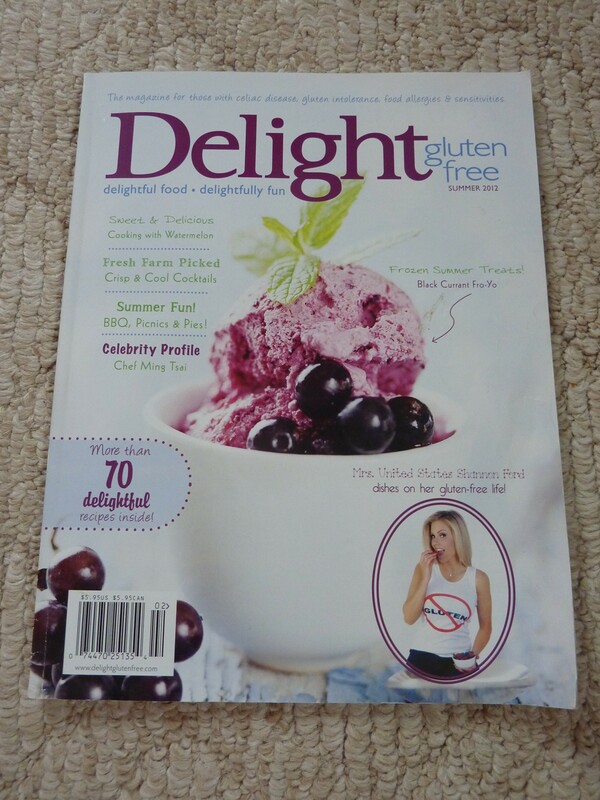 I really enjoy this magazine, although technically not categorized among the great health books. I find the articles helpful and the recipes are amazing (albeit complicated on occasion…) It’s great for people who have limited diets and experience symptoms of food intolerances, as its fancy recipes make you feel like you are special and its articles assist with things like what could be causing your migraines (gluten, duh) and how to get kids to eat gluten-free without making it too healthy (is there such a thing?). Anyway, these are just a few books that have shaped my journey into natural health and are worth the read if you’re gluten-free and wondering how best to take care of your body!